Digital multimeter for universal use in measuring voltage, current, resistance, frequency, capacitance and temperature. 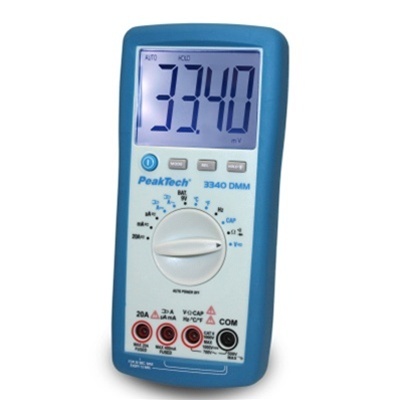 Includes a measurement value hold function, analogue bar graphs, automatic polarity reversing, overload and overvoltage protection as well as an acoustic overload indicator, automatic switch off as well as mechanical socket guards. Device comes in a shock-proof holster with fold-out stand. Including testing leads, type K temperature sensor and batteries.